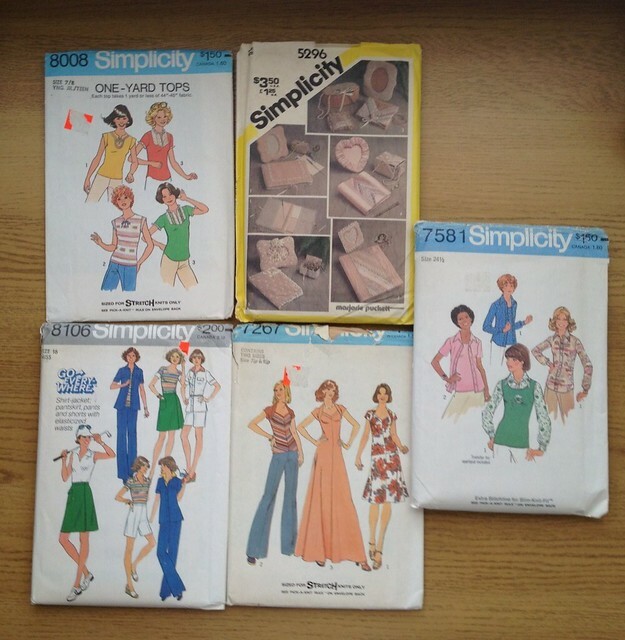 I am slowly working my way through my stash of vintage patterns; I haven’t got many but I have enough to be able to pick one to sew every now and again. 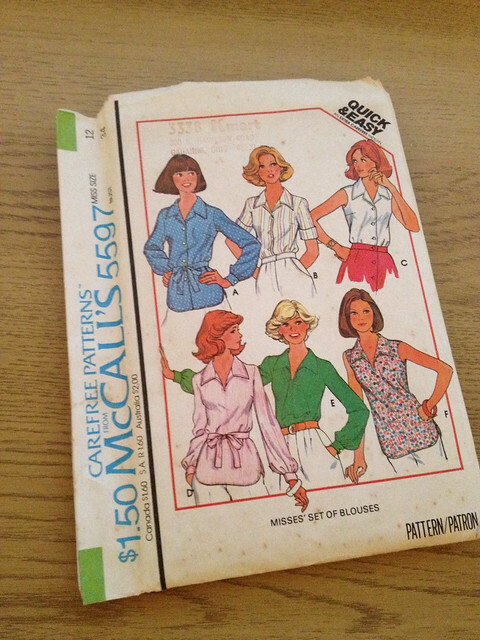 I chose this McCall’s 5597 pattern as I liked the look of view F – a simple blouse to wear with shorts or skirts during the Summer. 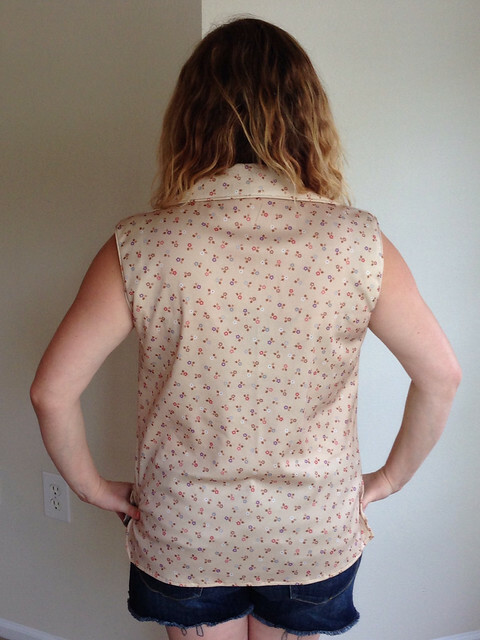 As this pattern was printed in 1977, it also counts as my third make for the 2015 Vintage Pattern Pledge. 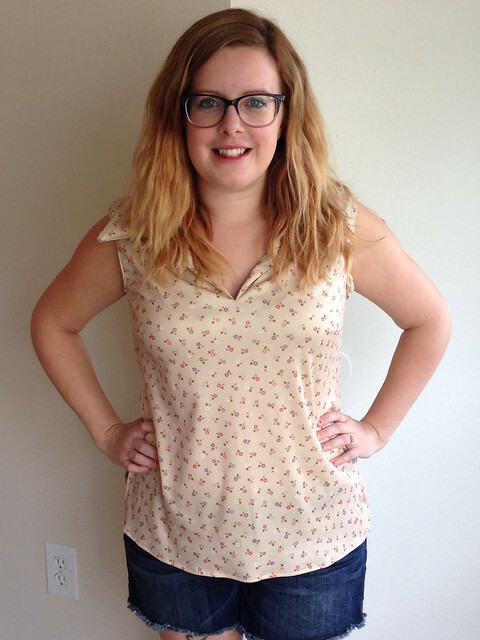 Whenever using vintage patterns, I always feel like I’m taking risks with the sizing of garments. The only finished garment measurement shown was the back length, and looking at the body measurements for the size 12 garment, it would be quite small for me. However, I only seem to have made size 12s before in vintage patterns and each one has been different; some too big and some too small. So the only way to find out if it was any good for me was to make it! I’m not yet a fan of making toiles, especially for smaller garments so I just keep my fingers crossed throughout the make that it will fit! 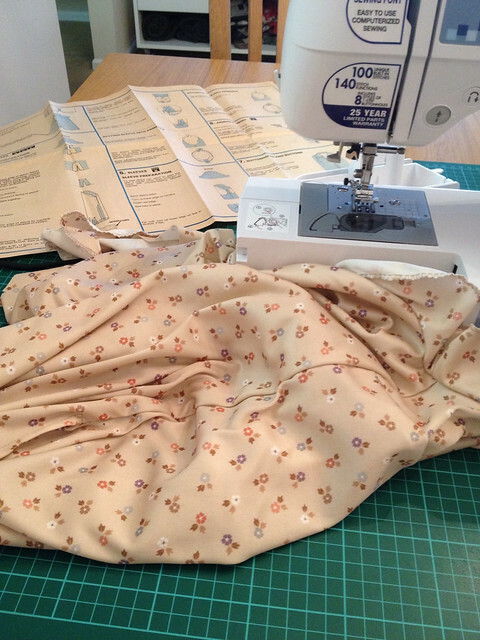 I chose to use French seams as this was recommended for the shoulder seams anyway. I really like that the instructions advise you to stitch the seam down with a row of top stitching; something I haven’t come across before but I think it makes the garment look like a RTW. I had a slight problem with using French seams at the side seams as it made it a little tricky to turn back the hem for the split at the side. Mine does need a good press but hopefully it doesn’t look too bad. On the original pattern, the hem is actually curved towards the split but I just could not get this fabric to ‘curve’…way too slippy. Instead I went for a diagonal hem where the curve should have been. Sunday Sevens #44 – A Blog Series To Join In With! Cute pattern! I love the top stitched shoulders too. I try to do that whenever I can remember. It looks so nice. I remember facings on tops like that having the same issue for me that you experienced. I think I used to tack the facing down to the shoulder and side seams to help encourage them to stay put. I now prefer the bias binding technique. It behaves so much better. 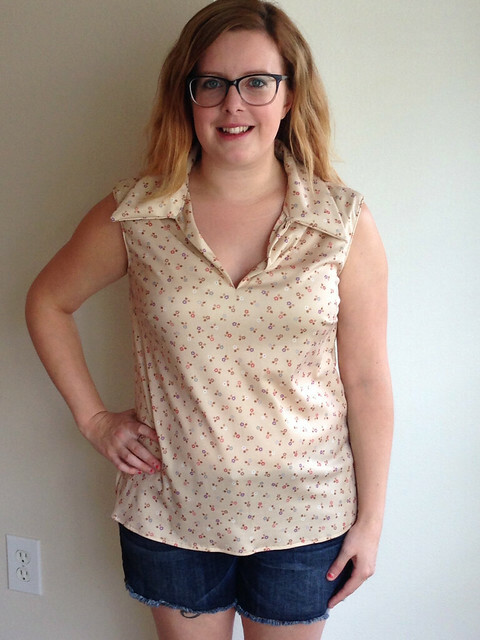 I guess that is one thing with sewing vintage patterns. You can see how much advancement has been made with simplifying techniques. Those facings may behave better with a different fabric too. You did a great job. That’s a very cute top. Thank you! 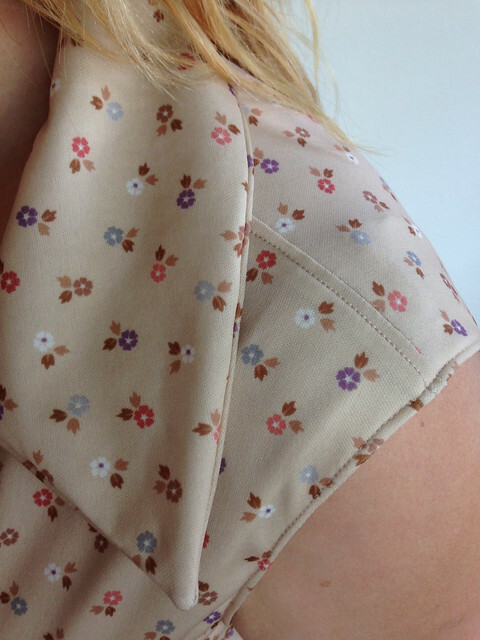 Yes I’m a big fan of topstitched shoulders & using bias binding now…I did tack these into place but they still flop out! Ha! Very cute indeed! I love how you managed to use a vintage style fabric too for this. I’m with you on the hair issue too. I prefer a simpler neckline for my similar length-ed hair. Thank you – I really like this fabric 🙂 My hair just gets in the way of any shoulder/ collar detail! Cute! Yeah, those ’70s collars were HUGE, weren’t they? I like the mandarin collar idea; I think that would really work well with the style of the top. I think so too…hoping it wouldn’t be too difficult to construct either as they are very rectangular! You might be able to steal a collar band from another pattern; then the only thing you’d have to (possibly) adjust is the length of the band. This is really lovely! Looks RTW despite the flappy arm hole facings 😉 I really love the fabric too. What a bargain! It’s not you – collars were massive in the Seventies! 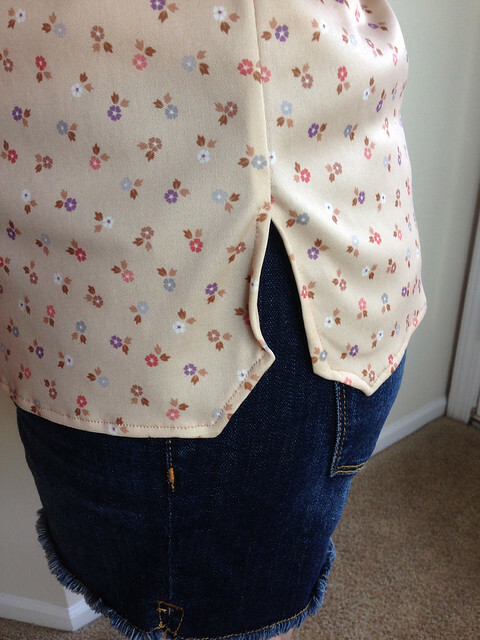 The finishing with the top stitching is lovely and neat and a trick I often use to make something look more tailored. I love the pattern. It really takes me back to all the stuff my mum made when I was little. The top stitches shoulders are a lovely detail.